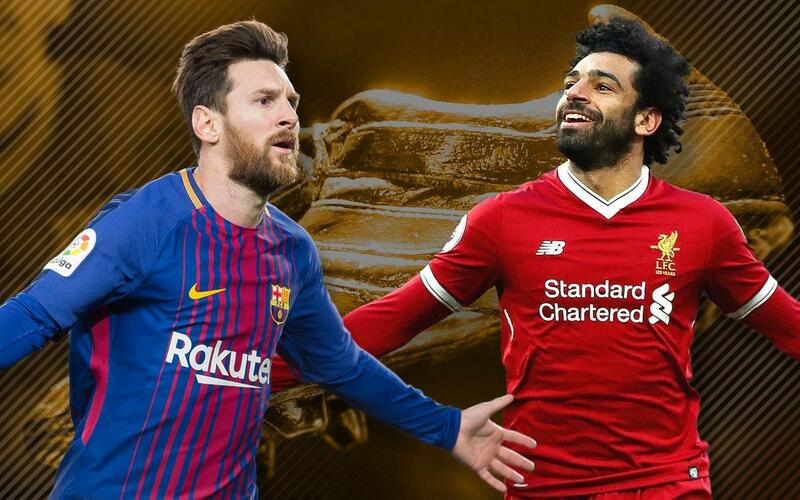 Leo Messi’s goal against Villarreal on Wednesday moves him even closer to what would be a record fifth Golden Shoe for finishing as top goalscorer in European league football. The Argentinian has 34 goals (which equate to 68 points using the UEFA coefficient system), leaving him three clear of Liverpool’s Mohamed Salah, who has 31. What’s more, Messi still has two more games in which he can add to his tally, while the Egyptian has just one more chance, against Brighton this weekend, where he’s going to need to get at least a hat-trick just to tie level with the Barça star. Of course, there are other contenders for the honour, but time is running out fast for any late twists in the tale. Robert Lewandowski of Bayern Munich would need a veritable goal-fest against Stuttgart, and Ciro Immobile of Lazio is currently injured and may not even to partake in Lazio’s two remaining fixtures. Mauro Icardi (Inter), Edinson Cavani (Paris Saint-Germain) and Harry Kane (Tottenham) are also still in the hunt, but again, it is fiercely unlikely that they’ll score enough goals to catch up with Messi, who already collected the award in 2009/10 (34 goals), 2011/12 (50, all-time record), 2012/13 (46), and 2016/17 (37).